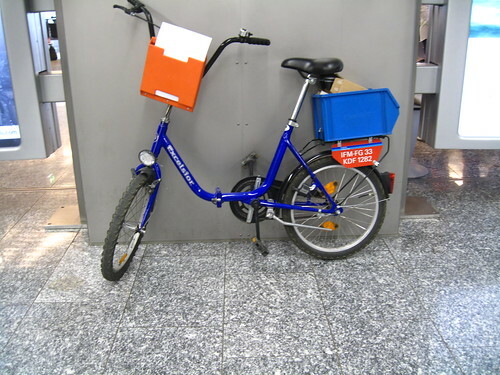 Saw this photo on a Danish website reporting about which airports are open or closed. Can't see which airport it is, but it's a cool shot. 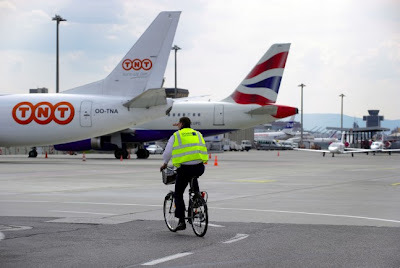 And whenever I'm in the dull, dreary hell that is Frankfurt Airport, at least I always see bicycles parked or being ridden around by the staff.